If passed, the RH factor is inherited? Blood is a characteristic antigenic properties of red blood cells. There are many systems of blood groups, but in medical practice are essential for two of them: АВ0, according to which there are 4 blood groups and RH factor, which can be positive or negative. Separation of blood into 4 groups AB0 associated with the presence in the blood of agglutinins – antibodies that stick to bacteria, viruses and other foreign objects. Agglutinins are in plasma, and erythrocytes contain substances that cause their formation – agglutinogens. In humans there are two types of agglutinins α and β, and two kinds of agglutinogens A and B. Their various combinations to form a group: both agglutinin in the absence of the agglutinogens – group I and β – II and α – III, both agglutinogen in the absence of agglutinins IV. 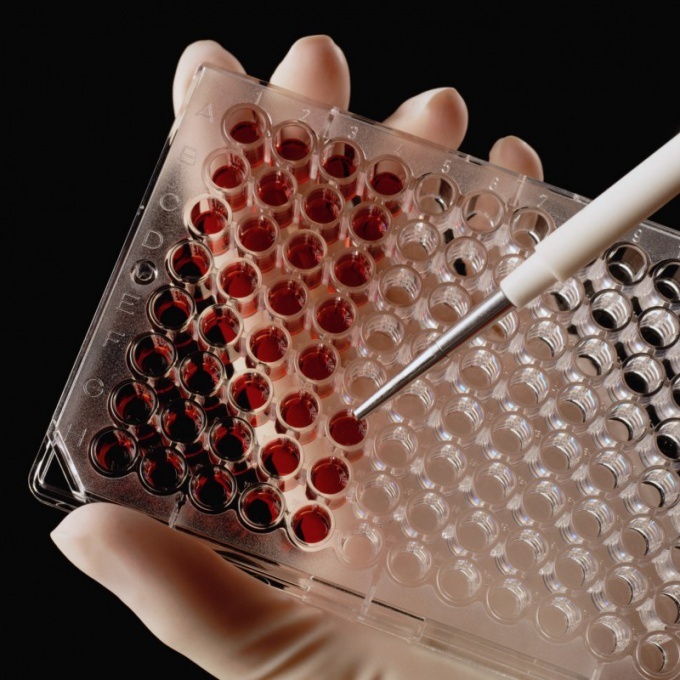 Blood – inherent characteristics of the organism. The production of corresponding agglutinins and agglutinogens encode genes, which are located on the long arm of chromosome 9. Like any genetically predetermined trait, blood group cannot change during the life. However, sometimes you meet people that claim to have them changed. Very often say about pregnant women. Of course, one cannot rule out cases are not bona-fide work of the technicians who conducted the blood group, but sometimes errors are changes in the patient's blood. Blood group is based on the fact that agglutinin α glues red blood cells, containing agglutinogen a And β bonds V. the Blood of a patient sequentially mixed with serum containing α, β, and both agglutinin and look under the microscope, there will be agglutination of red blood cells or not, on this basis determine the presence or absence of certain agglutinogens. In some diseases, as well as during pregnancy increases the number of red blood cells, the number of agglutinogens is reduced so that the adhesion of erythrocytes containing them, will not happen. In this case, the analysis will show the I blood group, although in reality the patient II, III or IV. Some pathogens secrete enzymes that modify the molecular composition of the agglutinogens A, with the result that they become like, and then the analysis will show the III blood group is II. After recovery everything will be back to normal. Possible distortions and for cancer blood. Thus, blood group for life can't change, but in some diseases and in pregnancy, there are conditions that make it difficult to establish blood groups and cause errors in the analysis. 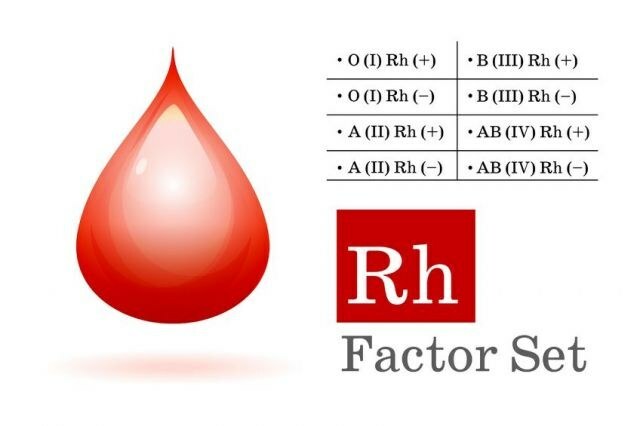 RH factor is one of the most important characteristics of human blood along with blood group. So, for example, the RH factor is one of the options considered in blood transfusion. RH factor is a parameter of the blood of the person who actually represents the presence or absence in his blood a special component - antigen D. if the blood of a particular individual has such antigen, to say that he has a positive RH factor or rhesus positive just. Otherwise, about him saying he has a negative RH factor. Thus, there is only two main variants of the RH factor: intermediate values in this sense can not be. Negative RH factor is not a pathology: in such a situation people can live a normal life and be perfectly healthy. However, the negative RH factor is much less widespread in comparison with positive. According to doctors, about 15% of all people living currently on Earth, have a negative RH factor; consequently, the remaining 85% have RH positive. RH factor is a characteristic that is passed from parents to children through inheritance. Thus, it is an innate characteristic of a person and can not change throughout life. In this regard, it is important to know your RH factor along with the blood type: it can be useful in emergency situations that threaten life, for example, when you want an urgent blood transfusion. One day remembering this information, you will not have to worry about that it can become irrelevant. If both the father and the mother of the child have a positive RH factor, in most cases, the child will also be RH positive. A similar situation is associated with negative RH factor of both parents. The most complicated case, doctors believe a situation where the child's parents have different RH factors: e.g. mother, he is a positive and dad is negative. The main difficulty in this situation stems from the possibility that the occurrence of so-called rhesus-conflict in which the RH factor of the child in the womb different from her own RH factor. This can cause various complications during pregnancy including the threat of interruption. Therefore, prospective parents who expect the child, it is helpful to determine the compatibility of their rhesus factors. And if they seem various, you should carefully monitor the pregnancy and to carefully follow the doctor's orders: this will allow you to overcome the situation without much difficulty.